In my opinion there are two ways you can go as a game developer. You can either be an all-round one, or a specialist. Both have their advantages and disadvantages. I myself am most definitely an all-round game developer. I’ve been making games professionally for more than 15 years now. If you include the animations, concepts and level designs I made as a child you could say I’ve been making games for 33 years. It really is my passion and I consider myself blessed to have been able to make a living out of it. I tried other jobs for short periods of time, but was always drawn back to games. For me, game development is the most creative and diverse job I know. The possibilities are limitless and all forms of media can be used. 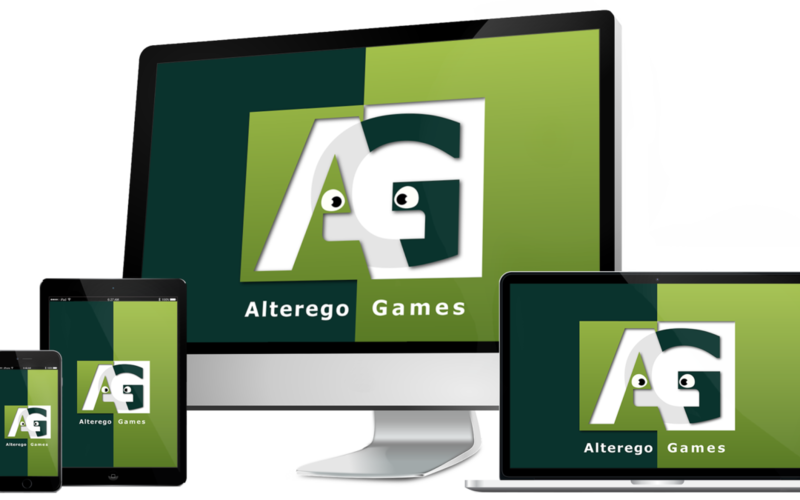 Not long after completing the study Interaction Design in 2000, I started my own company where I specialised on online games. I chose Interaction Design, because it was the only study close to game development at the time. I made a few games with fellow students during my study and liked almost all aspects of the process. I think ‘being interested in everything’ is the most crucial part of becoming an all round game developer. I noticed that I was one of the few already familiar with most trades like animation, music, sound effects and programming, since I was experimenting with all of these things as a child. In 2002 I started as a freelancer, working on small online games for game-portals. This is where I needed to know all aspects of a game: Concept, visuals, programming, animation, sound etc. I didn’t have any people around me working in the game industry, so I had to learn all trades myself. This is when I learned to make products for clients completely independent. Being able to create a game from start to finish is the biggest advantage to being an all-rounder in my opinion. It gives you freedom and flexibility. It’s also easier to make good estimates of time and it’s easier to manage the scope of the project. Being an all-rounder is also useful when working in a team. You can easily adapt to the needs of the other members and transfer your work to them in the desired way. Taking on a project-manager or product-owner role in a team can work well, because as an all-rounder, it’s easier to oversee the whole process and translate the requested client needs to the team. There are however some major disadvantages to being an all-rounder as well. It takes much longer to get to a quality-level that’s acceptable, simply because there are so many areas to get proficient in. Another disadvantage was one I was confronted with a few years ago. The market changed and companies were mainly searching for specialists. They would rather hire someone who is very good in one specific task, then someone who is o.k. in many tasks. This was mainly because game companies were looking to expand and specialist are more useful for big companies because they are more structured. Luckily now that there are more game companies working with a small team, the need for an all-round game developer is growing again. What will suit you best? The game industry is a relatively young industry and many game companies have different approaches. If you’re interested in working in the game industry you should think carefully what kind of environment will suit you best. If you’re looking for a job in a big company I recommend specialising in a specific area. You are most likely to be useful if you know your craft well and deliver high quality results. If you interest is more in the area of being an independent game developer or working in an indie development team, it’s important to be flexible and versatile. You will be most useful if you can adapt to changes and solve problems short term. I hope you enjoyed this little blog where I shared my experience on being an all-round game developer.